Ah how great it is to see terrific comedy! It’s the best to sit back, relax and heartily laugh at a good movie. Unfortunately it’s an experience that doesn’t happen too often these days. Now most comedies are so raunchy that I either chose to not watch them or they aren’t my style of humor. So, you can imagine my enjoyment when I put on this month’s blind spot pick, Duck Soup, and laughed good and hard! 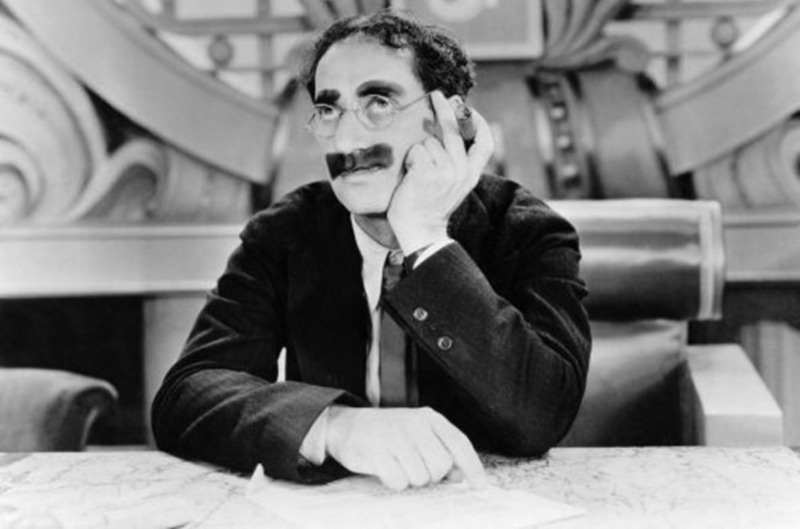 Duck Soup is a classic comedy and with good cause. Especially if you like physical comedy it doesn’t get better than this. 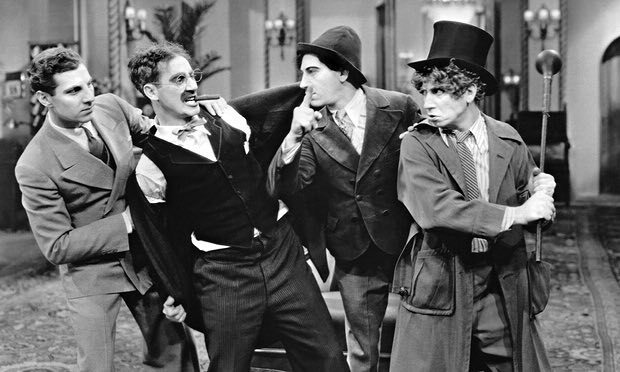 Duck Soup stars the Marx Brothers- Groucho, Harpo, Chico and Zeppo and evidently this is their crowning achievement. I read dictator Benito Mussolini took the movie as a personal insult and banned it from Italy! You know you are doing something right if a dictator bans your movie! The plot for Duck Soup is pretty basic. Groucho plays a man who is put in charge of a small country named Freedonia. They are a nation of great pomp and circumstance and much is made about their need for decorum. 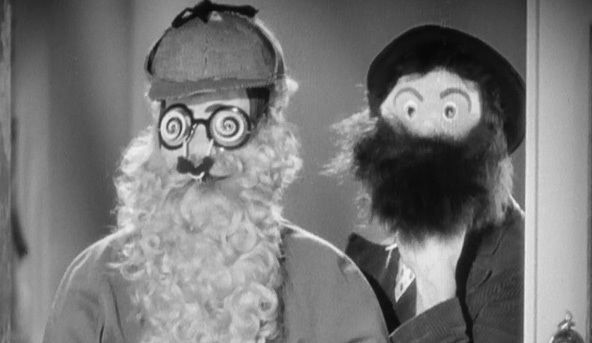 Meanwhile Chico and Harpo are sent as spies to look into the situation and see what Freedonia is up to. Zeppo plays Groucho’s secretary and kind of the straight man role in the story. Quickly all kinds of mayhem erupts involving war, love and politics. You don’t see a movie like Duck Soup for the plot. It’s about the hilarious gags. What’s impressive here is they manage to be funny with both physical comedy and political commentary. I love how expressive each of the brothers are and how you can read so much through their eyes and facial expressions. I particularly like Harpo and how innocent and sweet he is. Don’t you just want to hug him? What he is able to do with a simple hat to get laughs is remarkable. It’s so funny when he goes in seconds from welcoming the idea of diplomacy to ‘who does he think he is? That he come here and make a sap out of me in front of my people’. I have a feeling it might not be that far off of actual diplomacy (I try to not think about that too hard these days! Politicians and the egos involved is a scary thought). Duck Soup is only an 69 minutes so it’s not much of an investment of time but boy is it rewarding. I laughed from start to finish and it wasn’t the kind of mean spirited raunchy comedy you get today. It can be a little bawdy but all in good fun. I have seen one other Marx Brothers movie Monkey Business and I think Duck Soup is much funnier than that. I know some children might be intimidated by black and white but comedies can often be good ways to introduce them. Duck Soup would be great for that. I think they will love it especially Chico and Harpo as the 2 spies. Hilarious. I just loved this movie! The only flaw I suppose is maybe 2 of the musical numbers go on a little long. Other than that one of the great comedies without question. I have the same problem with comedies nowadays that I don’t really watch them as they’re just too R-rated or heavy PG-13s; I havta stick with old comedies. I think I saw this film years ago with my parents, but we never finished it. Is this the one with the “I’m Against It” song from Groucho Marx? Or the “Hello, I Must be Going” song? I do enjoy the Marx Brothers, but my fave comedy team of that classic era (and my fave comedians of all time) is Abbott and Costello. Are you a fan of theirs, be it their routines or their films? I cant remember the names of the songs except for This Means War song which was hilarious. There needs to be a new clean movie studio in town that can hold its own against the competition as well as provide clean entertainment for people who want to see that. Not really. Last live action comedy they’ve made is Alexander and the Terrible Horrible Day. Sure Marvel and Star Wars have comedic elements but an outright family comedy is very rare. Were you talking about Mandy’s review or the one which included an extended summary? Because that one was written by a man (and admittedly, I thought it was funny though he obviously just has no appreciation or understanding of old-style comedy). It was the afi one so I guess it is a guy but I found it super obnoxious. I hate that kind of caddy blogging. That’s interesting to hear. To be fair, Mandy was more polite and at least admitted she wasn’t familiar with that type of comedy. That said, her review of Pinocchio is infuriating, however. She spends next to no time at all talking about the actual movie, only about how she hates Disney because she knows people who were traumatized by the scene in Bambi where Bambi has to run away from a forest fire, and she saw a classroom of children that cried at Mufasa’s death. 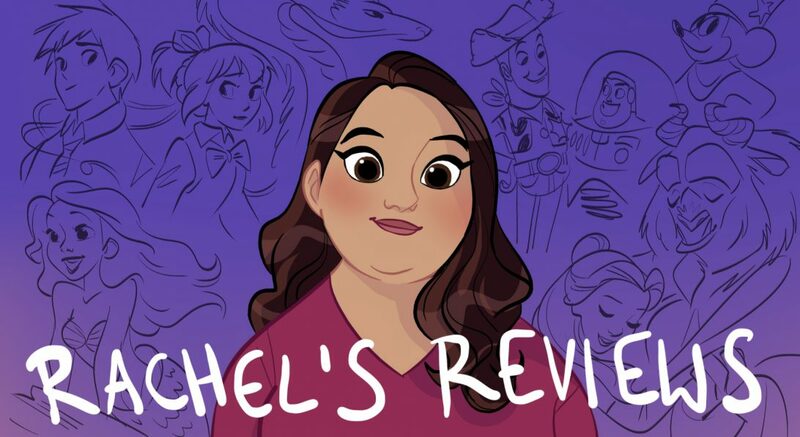 Her whole review is basically a treatise about how Disney is wrong for including any mature/emotional content, and even says at one point, “I mean, if you go see a kids movie and the adults are crying in the theater, I think something went wrong.” She starts off the review saying she doesn’t know what to write about it, and then gives her dad’s one-sentence opinion, “It had a stupid story” to cap off her thoughts on the film. And the Citizen Kane- why write at all if you have nothing to say? Believe it or not I dont review every movie I see. Some I just dont have a sufficient argument to be made or strong response. To be fair she was reviewing it as part of Roger Ebert’s Great Movies collection. The blog is entitled The Mandy/Ebert Project and Ebert himself actually complimented the blog and apparently signed a book for Mandy. Otherwise she probably wouldn’t have reviewed it.